Spinal adjustments are the foundation of chiropractic treatment. They are used to keep the spine in proper alignment and help to treat a variety of soft tissue disorders and many other health issues. A chiropractic doctor is the only health care professional that is trained to properly deliver a spinal adjustment. A spinal adjustment or manipulation is the process of applying quick and gentle pressure to “subluxated” vertebrae in a corrective manner. Adjustments are not, and should not be, painful. Most patients that see us at our North Oaks Minnesota Chiropractor office look forward to their chiropractic adjustments because they provide immediate relief from discomfort and increase their sense of well being. Performing a safe and effective spinal adjustment requires many years of study as well as practice. Spinal adjustments are shown by research to be the most effective treatment for many conditions, including back pain. Spinal adjustments correct many structural, bio-mechanical, and neurological problems in the spine that cause, or contribute to, many back, neck, and other non-spinal issues. 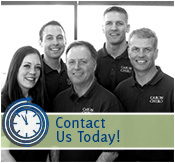 Don’t hesitate to contact our North Oaks Minnesota Chiropractic office today to schedule an appointment for a spinal adjustment.